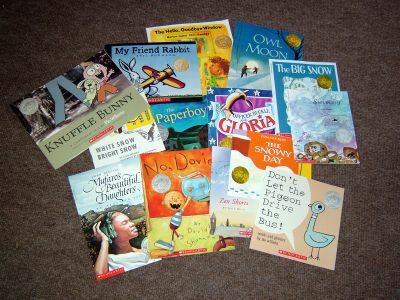 In addition to the books that arrived earlier this month, we have just received a shipment of Caldecott Medal books. The Caldecott Medal is awarded to the artist (not necessarily the author) of the most distinguished American picture book for children published in a particular year. The Caldecott Medal and the Newberry Medal are the highest awards in children’s literature in the United States. The following books have been added to our library. You can read more about the Caldecott Medal on the American Library Association website and Wikipedia. You can also see a list of the award winning books (both medal winners and honor books) on the ALA site.